When it comes to speeding up recovery from a ball-busting workout, no single time period may be as important as the post-workout window. After the last rep, your main focus should shift to recovery so that you can train heavier, more often, and with greater intensity. Nutrition obviously plays a crucial role, but there’s more you can do. Tapping into your parasympathetic nervous system response with specific strategies can also expedite recovery. Do at least one of the following techniques anywhere from 5-15 minutes after your last rep and you’ll come back stronger and more motivated each passing day. Though traditional self-myofascial release techniques like foam rolling play a minor role in preparing you for a workout, these techniques are a highly effective way to recover AFTER lifting. From limiting delayed onset muscle soreness to aiding in lymphatic drainage, rolling may just be the quickest and easiest way to get the recovery process going. In your post-training window, put a priority on addressing the soft tissues that were more highly active during that day’s workout. For example, if you hit legs, then your post-workout rolling should focus on the muscles of the legs. It’s not rocket science, but here’s where it gets interesting. When using foam rolling in the pre-training routine, pick a targeted problem area that you’re objectively working to remediate. However, it’s the opposite for sparking recovery. The recovery window is the time to work entire tissues, spend time on multiple segments, and really “waste” some time down on the floor addressing every aspect of the region. To get the most out of your practice, place an emphasis on addressing large superficial muscles as opposed to small acute muscles of the body. For example, rolling the glutes thoroughly from origin to insertion would be more appropriate than hitting trigger points on the piriformis. Take your time. Get the rest of your body that’s not on the roller in a good comfortable position and start rolling away. While stretching in the pre-training routine has been vilified, it still plays a minor roll in a well-designed dynamic warm-up sequence when active oscillatory stretches are prioritized over long, static-based stretching. But again, similar to foam rolling, the opposite applies to the post-training window. After training, static stretching can be another great mechanism for recovery, especially when coupled with self-myofascial release techniques on the same tissue segments. Stretching in this window allows more of a pliable neural response to tissues due to increased amounts of blood flow and lubrication on active and adjacent joints in the kinematic chain. In other words, more contractile muscle tissue will be targeted with these static stretches since tendons and non-contractiles are usually the limiting factor in any longer duration stretch being practiced on “cold” tissues. Holding static stretches from 30-90 seconds while maintaining optimal body alignment in other regions of the body, most notably the spine and pelvis, can stimulate a recovery response in the parasympathetic nervous system due to receptors found in the soft-tissues themselves. While stretches can theoretically be held for much longer, a majority of athletes can’t maintain proper body alignment in stretches lasting over 90 seconds. And as soon as alignment is lost, compensation patterns kick in and the deep-targeted muscular stretch that was achieved is lost and replaced by poor postures and injurious positions. Follow up the tissues you addressed in your foam rolling and self-myofascial release work with static-based stretching for optimal recovery benefit. Most people will have a great amount of success with the implementation of foam rolling and stretching in the post-workout window, but if you want to cover all your bases, read on. Just because you breathe doesn’t mean you know how to optimally breathe, especially when it comes to using your breath as a recovery mechanism. Without boring you with a patho-anatomy lesson of the respiratory tract and its response with the endocrine, musculoskeletal, and neural systems, let’s break this down. For the most part, people present with one of two different types of breathing patterns, chest breathing or belly breathing. While “belly” breathing is ideal due to the utilization of the diaphragm moving at full range of motion and capacity in the visceral wall, athletes more commonly present with dysfunctional chest breathing patterns. Let’s try to picture what a dysfunctional pattern would look like. Ever been winded after sprints and gasping for air? You most likely were breathing with your chest and ancillary secondary respiratory muscles including the scalene group and pec minor, and your traps were moving your chest and shoulders up and down as you sucked air into your lungs. Imagine using these same mechanics, but in a resting state, never truly tapping into your diaphragm, but rather using the small respiratory muscles and overloading them. This is what we want to avoid. By monitoring your respiratory rate and tempo of breathing during stretching, foam rolling, or as a drill on its own, you can shift to a more optimal use of the diaphragm and incorporate deep breathing strategies that will help in the recovery process. Many times, volitionally keying in on the breath, using an extended inhalation and exhalation between 2-6 seconds, will be enough to have the diaphragm moving and responding like we want it to. If this applies to you, focus on breathing while completing your other techniques in the parasympathetic post-workout window. If you find yourself struggling with deep breathing techniques, spend 3-5 minutes and just lie on your stomach while simply breathing. This position allows your diaphragm to push into the ground and receive more proprioceptive feedback to hone the movement pattern. Bring in air for 4 or so seconds. Pause for a second or two with a full set of lungs. Exhale over an 8 count and repeat. Though we’re working on breathing techniques to target recovery, these drills can also be built in throughout the day to maintain a recovery balance in the body. Hey, you have no excuse not to practice breathing as you do it a few thousand times a day. This may be the most simple method to speed recovery, but it’s very effective. 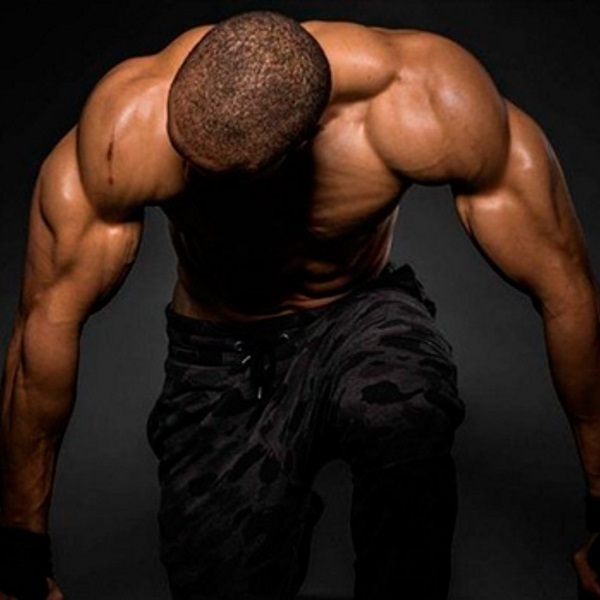 As you train a muscle group, increased blood flow is siphoned to the area in order to continue to fuel the activity. This increased local blood flow also triggers a certain amount of fluid accumulation locally from the interstitial fluid balance, which is more commonly noticed as the prolonged pump effect of a tough workout. While the lymphatic system is pivotal to human function, too much local lymph can limit the recovery process of local tissues and the system as a whole. Having control over the amount of local lymph is pivotal to expediting recovery. We can do this in a few ways. First, we can use gravity to our advantage and use a systemic drain by elevating extremities above the level of the heart in order to push lymphatic fluid back into central circulation. On lower-body training days, this may be as simple as lying on your back and elevating your feet and legs (allowing a little knee bend) using a short plyo box. For upper body training, just place the arms overhead in a relaxed position to enhance drainage. A second simple mechanism to reduce lymphatic pooling is by using low-level active recovery activities such as walking and biking. The active muscle contractions place pressure on the passive veins and lymphatic vessels to push fluid back into central circulation. Walking slowly for a few minutes is as much as you need. Bonus: For all you overachievers out there, graded compression bands or garments such as tights and socks can be a great addition to your recovery routine as these garments place pressure on the vasculature system and enhance the active muscle pump above. Your best bet is to use a combination of all of these mechanisms of limiting and reversing lymphatic pooling by using compression garments while utilizing gravity and active recovery. If you really want to spark the recovery process, you better start prioritizing your recovery WHILE you’re training by using advanced workout nutrition like Plazma™ or directly after training with Mag-10®. I’ve had a great amount of success placing these formulas into the programs of my strength and endurance-based athletes. Though the post-workout window is still highly advantageous, it becomes less effective if you don’t have your pre- and peri-nutrition in check in order to fuel your training in the first place. Our performances and results depend on how we’re best able to utilize the central nervous system to spike anabolic hormonal output, responsive vital signaling, and a host of other physiological mechanisms that set the table for progression. To the same point, we can tap the parasympathetic nervous system to expedite the recuperative abilities. Simply put, the quicker we can reverse the sympathetic response and make a shift towards a stronger parasympathetic response, the more complete and controllable the rest of the recovery process will be. As the parasympathetic nervous system response takes over the body, a few key things happen in order to spur recovery. First, the human vital signs, including heart rate, respiratory rate, and blood pressure, lower in order to gain and maintain a more restful state. These three variables are also highly trainable using the specific drills described above. The longer you stay in a sympathetic state after training, the more elevated inflammatory markers become and the harder it is to eventually reverse the central nervous system response to start recovery. Also, if you think about this in practical terms, the longer you stay in a jacked-up state, the less overall time you have to recover between training sessions. For some of us that train daily, delaying the parasympathetic response even a few hours can make a marked difference in recovery as a whole, and especially in high central nervous system dependent activities.